The 2015 Wrangler and Wrangler Unlimited are the iconic off-road vehicles everyone thinks of when they hear the word Jeep, but they have come a long way since the original WWII version. If you want to drive the latest Jeeps, get over to Greenville Chrysler Dodge Jeep Ram, serving Rockwall, Farmersville, Commerce, and Garland, TX. The Original Toyota 4Runners were go anywhere, do anything off-roaders too, but the 2015 version has gotten fat and has lost its focus, unlike the Jeeps. The Toyota 4Runner started out similarly to the Wrangler years ago but has gotten much more luxurious and less off-road focused, and now has a starting price over $10k more than the Wrangler. Even if you opt for more room and the 4 door Wrangler Unlimited, you still save about $8k. Order the fully tricked out model of both, the Wrangler Unlimited Rubicon and 4Runner TRD Pro, and the Jeep is still $5k less expensive, and the only one with a removable top. The Wrangler is smaller and lighter than the 4Runner too, which makes it more maneuverable. The regular Wrangler weighs 800lbs less than the 4Runner, and even the fully tricked out Wrangler Unlimited is hundreds less than the comparable Toyota. The standard size Wrangler is also over 2 feet shorter in length, which is much better when off-roading, and the Wrangler Unlimited is still 6” shorter overall than the 4Runner. Both of these trucks have stout V6 motors, but the Jeep makes more power. 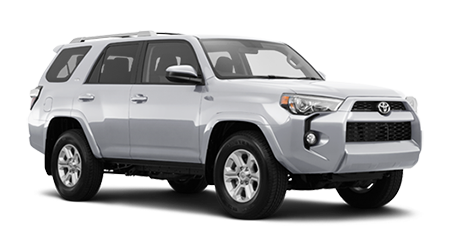 The Toyota 4Runner offers only an automatic transmission with 5 speeds, compared to the Jeep’s standard 6 speed manual. Of course, Jeep offers an optional 5 speed automatic as well. The extra 15hp, combined with the lighter weight, and manual transmission mean the Wrangler gets to 60mph a second quicker on the freeway too. 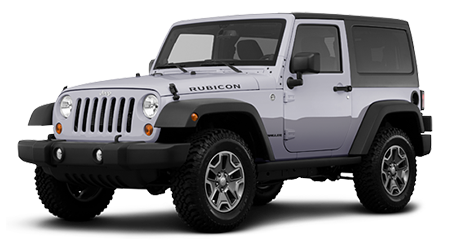 Anyone who spends any time off-road knows Jeep makes the best vehicles for the job, and the best of the best is the 2015 Wrangler. Greenville CDJR in Greenville, TX has the full lineup of dirt ready Jeeps, plus the tough dependable Ram trucks too.